Arthur E. Farnsley II is Research Professor and Associate Director of the Center for the Study of Religion and American Culture at IUPUI. He served as Executive Officer of the Society for the Scientific Study of Religion (SSSR) from 2007-2016. An expert in American religion and civil society, his books include The Bible in American Life (Oxford University Press, 2017), Flea Market Jesus (Cascade Books, 2012); Sacred Circles, Public Squares: The Multicentering of American Religion (Indiana University Press, 2005); Rising Expectations: Urban Congregations, Welfare Reform, and Civic Life (Indiana University, 2003); and Southern Baptist Politics: Authority and Power in the Restructuring of an American Denomination (Pennsylvania State University, 1994). His articles have appeared on the cover of both Christian Century and Christianity Today magazines. He directed, with Professor Edward Curtis, the National Endowment for the Humanities Bridging Cultures grant for instructors at Ivy Tech Community College on “World Religions in Greater Indianapolis” (2015-2017). 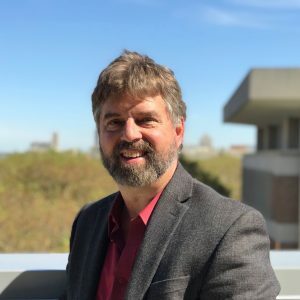 He has also co-directed many projects for the Center for the Study of Religion and American Culture, including “The Bible in American Life” (2011-14), and an NEH Summer Institute, “The Many and the One: Religion, Pluralism, and American History,” for high school teachers. This fall, he begins helping congregations use the Association of Religion Data Archives as a resource. Art is a graduate of Wabash College and Yale Divinity School. His PhD is from Emory University. He’s also 28-time national champion in knife and tomahawk throwing in the National Muzzle Loading Rifle Association.